Juzo Soft Knee High Stockings provide great relief from leg swellings, lymphedema, edema and venous insufficiency. These knee high stockings exert perfect gradient compression ranging from 20-30, 30-40 mmHg. These knee high stockings are soft, smooth and comfortable to wear. 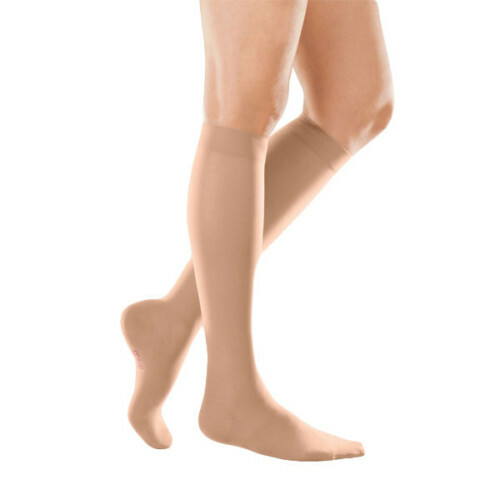 Easy to put on and take off, these knee high stockings are an ideal solution for the people who have venous leg complication as these knee high stockings enhances circulation. Juzo Soft Knee High Stockings with 20-30 and 30-40 mmHg compression can help you treat lymphedema, edema and venous insufficiency. These stockings provide hygienic stockings solution for your aching legs as they prevent bacteria from causing odour due to their antimicrobial barrier.